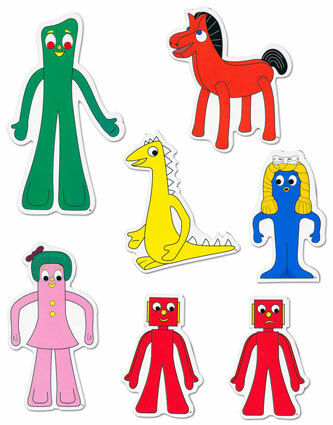 In my youth, I had both Gumby and Pokey bendables. They became useless when the wires inside them broke. Art Clokey, who produced Gumby, also produced Davey and Goliath for the Evangelical Lutheran Church (even though he wasn't a Lutheran). Most memorable for me was the Hopi Indian episode with Kachina dolls popping in and out, and other odd happenings. Years later, I wondered what the writer was "using" while coming up with this series. I remember seeing"Gumby"on"The Mighty Hercules Show"/"The Carol Corbett Show" weekday afternoons on WPIX TV Ch.11 in NYC. Mystery Science Theater 3000 did a hilarious send-up of the Gumby episode called "Robot Rumpus". Check it out on YouTube. "I'm Gumby, dammit". Oops, sorry. It just slipped.